Highland Homes in Louisville Kentucky are some of the most popular homes in Louisville since they are so close to great restaurants, an active nightlight and all of the best things which Louisville has to offer. What’s great about the Highlands is that besides offering homes with great architecture, the neighborhood also has an historic charm and with the mature trees which line the streets here you will feel like you’ve stepped back in time and are visiting a neighborhood you might have known growing up. Highlands Homes for Sale in Louisville Kentucky typically range in price from the $500,000’s to $2,000,000 and the great thing about this area is that you can find some exciting deals including beautiful Victorian homes and affordable townhomes. 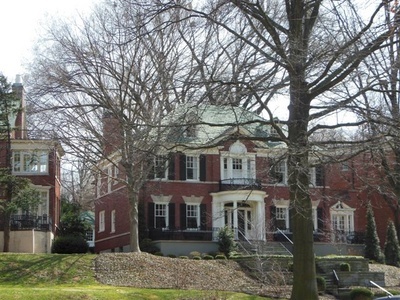 Located in Jefferson County, just east of Louisville, the Highlands is one of the most popular destinations in the Louisville, especially for home buyers since at just 3 miles in length, the Highlands area has the highest concentration of great restaurants, bars and things to do in Louisville Kentucky. More home buyers want to be close to “Restaurant Row” for a reason since they like to get out and stay active after a busy day at work. Here you will find a mixture of homes including bungalow, ranch, traditional, shotgun and plenty of other homes with lots of character! To learn more about Highlands Homes for Sale in Louisville Kentucky, or to search for other homes in the 40204 zip code, contact Family Realty today by calling us at (502) 458-4100 or click here to connect with us through our website.